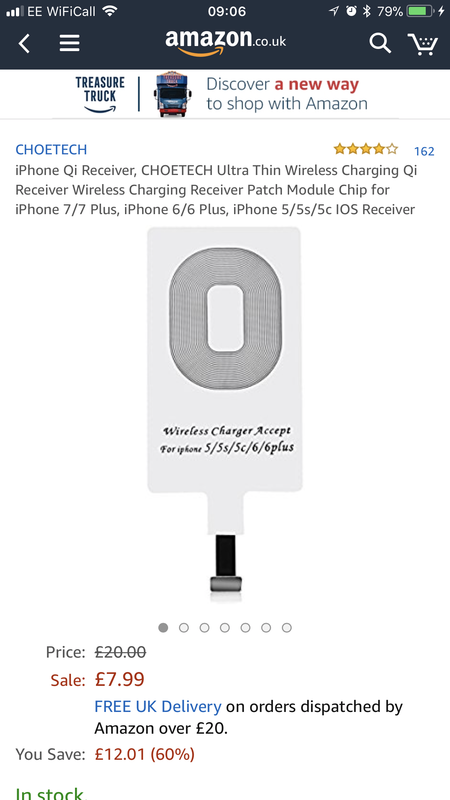 Hi, I want to get into the wireless charging game while I wait for my upgrade to come around (August) but wasn’t sure if these types of products are fully compatible with Anker’s Wireess Charging Stand(s) and Pad(s). If this is no good. What other solution would work with my iPhone 7 Plus? I can say with confidence that most wireless pads, as long as they are Qi enabled will charge and work. I have used and tested a handful of different brands and found that almost all worked.....but here is what you may not like, most of them are also finicky about how they are placed on a wireless charging pad. If it wasn't set just right it would take a lot longer to charge, and then you also have to deal with heat buildup. I did see some cases too. They were slightly more expensive but no worries there. Just want to get into the market and have some thing I can use and test with too. I know there will be variations with products built with wireless charging integrated into the device but there are also lots who are on older gadge like me. I would be worried about using such an adapter from an unknown company. I've read about problems ranging from innocuous simply not working or stop working after a couple of weeks, to dangerous overheating, including melting the plug. Whatever solution you go with, mind the manufacturer, and don't be cheap. You wouldn't want your $500+ phone damaged by a $10 adapter. Or just wait. August won't take long to be here. I use it on my secondary iPhone that I use for work, it's good and work well, but the most annoying thing is that if you have low battery and need to recharge faster (it will be happen very often) you need to pull of the case and the adapter for recharge trough cable.